It has been quite a while since I last wrote a personal article as it relates to our dear Nation; Nigeria. 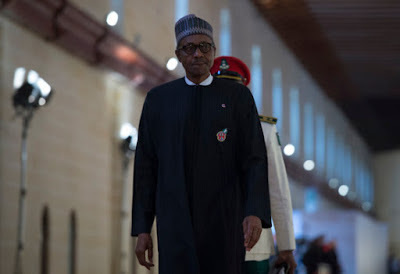 Infact, since the election of President Muhammad Buhari on the Platform of the All Progressives Congress (APC), I have not written a conventional article. Even though, in the intervening period, I have continued to contribute to National discourse through my social media interactions. Just so that we are clear on the message of this post, I have since October, 2015 had the opportunity of serving with an arm of Government, which has equally given me the opportunity to learn more about Governance in Nigeria and the dynamics of interaction between the leadership and the followership. NB: This post does not reflect the views of either my principal, his office or any political affiliation whatsoever. I write in my capacity as a citizen and hope to be as objective as I can. Also, I do not write this as a Negative critique of President Muhammad Buhari. No, I still believe that in more aspects than not, Mr. President has kept faith with his promises to Nigerians. The fight against terrorism is virtually won, the fight against corruption is going on, there is better management in government, the Nigerian economy is gradually diversifying (with particular focus on Agriculture) etc. The Government has also started the Social Reinvestment Scheme promised to Nigerians. This includes paying N5,000 to the poorest amongst us and employment opportunities under the N-Power scheme. The only (major) challenge remains bringing the Nigerian economy out of recession and I strongly believe that 2017 would be a better year in this regard and so I urge fellow Nigerians to keep faith. I write as an active citizen, conscious of the Change agenda of Mr. President, conscious about the role of constructive criticism as a panacea for developmental conversations, and the constitutional duty of the citizen as stated in Section 24(d) of the Constitution which provides that "It shall be the duty of every citizen to - make positive and useful contribution to the advancement, progress and well-being of the community where he resides". Hence, I write more as a matter of duty than anything else. By my account, this would be the Third time that President Muhammad Buhari would be proceeding on leave since assuming office in May, 2015. By his letter to the president of the Senate, Senator Abubakar Bukola Saraki, President Buhari sought to proceed on an annual vacation from the 23rd of January, 2017 to the 6th of February, 2017. We all agree that going on vacation is only normal. Every human being, no matter how strong or fit as a fiddle, must take sometime off work to either relax, retreat or attend to issues of medical concern. However, my concern with the repeated trips to a United Kingdom Hospital by the President every time he has to go on a medical vacation is what is on the mind of every Nigerian, to wit: If you promised us to improve medicare in Nigeria during your presidential campaign, why not seek medical treatment in Nigeria yourself? In September, 2016, Mr President launched the "Change Begins with Me" campaign. This, as we are aware is supposed to be a complete attitudinal change process for each and every Nigerian, beginning with the leadership. An excerpt from Mr. Presidents speech on that occasion read: "This we believe can best be maintained through attitudinal change, and the change of our mindset in private and public life. The campaign we are about to launch today is all about the need for us to see change not merely in terms of our economic, social progress but in terms of our personal behaviour on how we conduct ourselves, engage our neigbhours, friends and generally how we relate with the larger society in a positive and definitive way and manner that promotes our common good and common destiny, change at home, change in the work place, change at traffic junction, change at traffic lights etc." I dare say, that the Change that Nigerians desire to see today, begins with the President. It is obvious that Nigerians would like to see Mr. President vacation at the various tourist resorts across Nigeria. This would in no small measure increase the attractiveness of the Nigerian Tourism landscape. Nigerians and foreigners alike would automatically be attracted to the possibility of vacationing in Nigeria. This would reduce the pressure the demand for foreign exchange and probably earn us more. Secondly, It is also only normal for people to fall ill as i said before. However, except in a situation where the expertise to handle whatever medical condition affects Mr. President is not available within our boarders, it would have made for more than a good Photo-op for the President to be seen with his patient card seeking medical attention in the National Hospital Abuja or better still at the Aso Rock Clinic. I believe strongly that every time the president of a country has to travel outside his country, it should be as a result of some official international engagement which benefits the country or the other. It also should be as a means of furthering international diplomacy through the entrenchment of the country's foreign policy. If we take the United States of America for example, you will notice the trend expressed by the forgoing paragraph. One will easily observe that wit each foreign trip of the President, he is extending the reach of the American foreign policy. Strengthening ties with a view to influence global direction through the American ideology of democracy. Never for rest or health care. This must be our target as well. More-so, as the most populous black Nation on earth. Having said the forgoing, I simply write today to encourage the President to consider the viability of the foregoing options in subsequent vacations. I remain a supporter of Mr. Presidents Change agenda and would continue I'm my little capacity to play my part in ensuring that President Muhammad Buhari succeeds at his task of rebuilding our dear country. God bless Nigeria as we continue to engage and intervene.